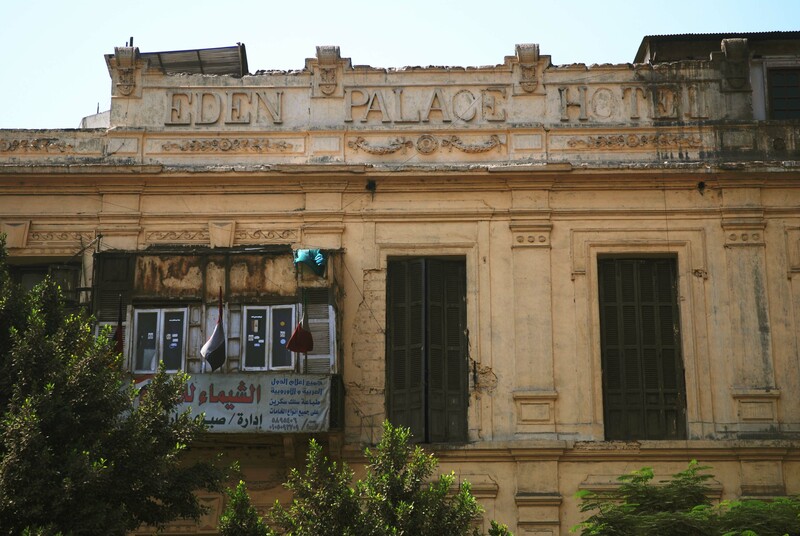 Although it was hotel for only around 20 years, and the last guests checked out 93 years ago, the name of the Eden Palace lingers in Cairo – it’s there in large letters on the pediment of a corner building on modern Khazindar Square, across from the Sednaoui department store. It’s passed every day by thousands of people but likely noticed only by a very few. 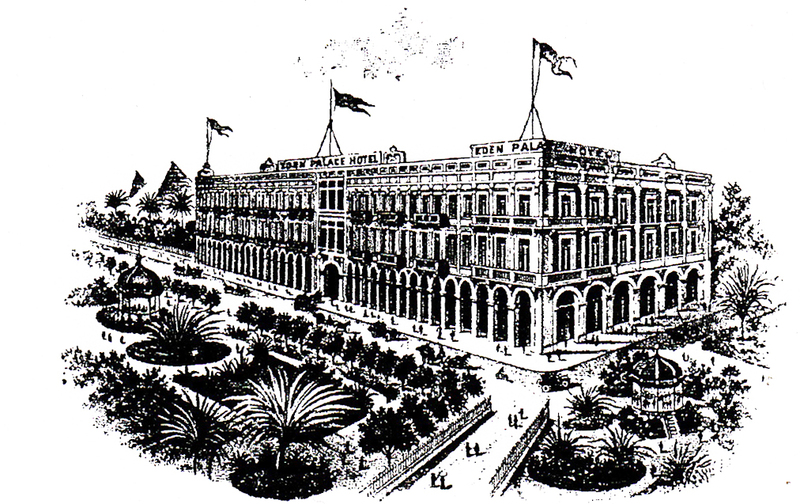 The hotel opened around 1900 in a grand new building raised on the site formerly occupied by the original Hotel d’Angleterre, the first hotel run by George Nungovich (see earlier post). 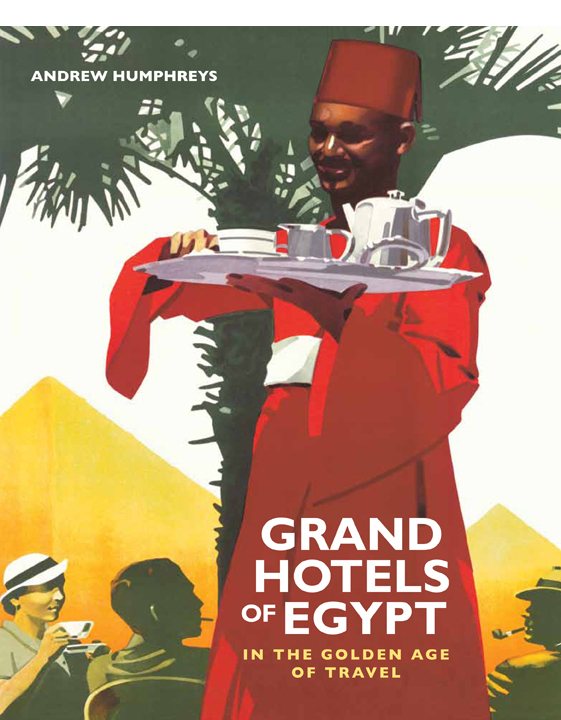 It was a good site, overlooking the Ezbekiyya Gardens; guests in the better rooms would wake to birdsong, and a view of trees and greenery when they opened the shutters. It had 145 rooms, with a lift and steam heating. Shepheard’s, the epicentre of the city’s social scene was just a stone’s throw away. 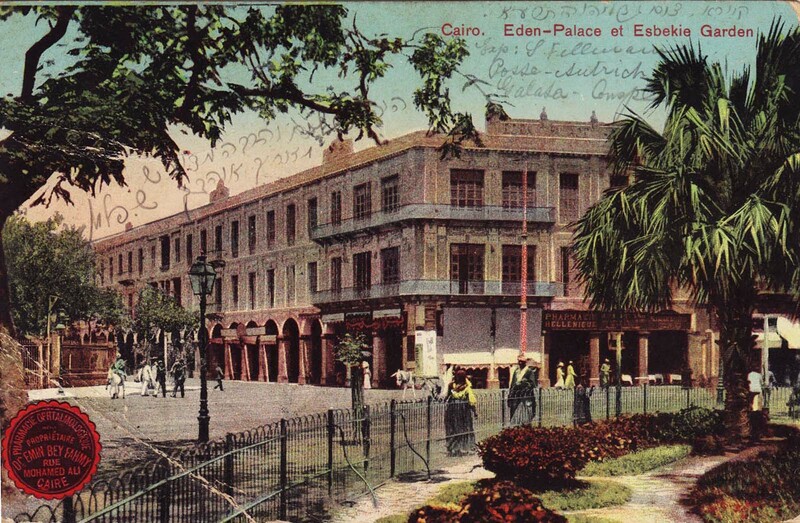 Unlike Shepheard’s, which attracted a fashionable crowd, the Eden Palace catered to businessmen and long-term residents, who would sacrifice a little glamour for cheaper room rates – the 1914 edition of Baedekers gives Shepheard’s charging 80 piastres per night, same as the nearby Continental, while the Semiramis charged 90 pias and the Savoy 90-120 pias; by comparison, the Eden Palace was just 50 pias. I received your letter with enclosures as stated I called at the U.S. Consulate several times but did not find Mr. Berry; later on learned that he was not connected with the Consulate but was a “Judge” of the Tribunal Court here. I called at his hotel then but did not see him there. He called on me at my hotel last evening. 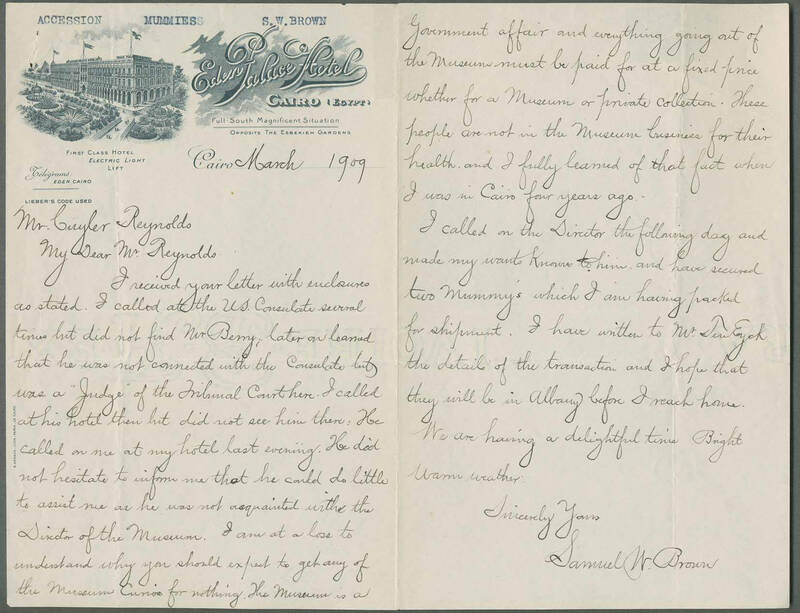 He did not hesitate to inform me that he could do little to assist me as he was not acquainted with the Director of the Museum. I am at a loss to understand why you should expect to get any of the Museum Curios for nothing. The Museum is a Government affair and everything going out of the Museum must be paid for at a fixed price whether for a museum or private collection. These people are not in the Museum business for their health, and I fully learned of that fact when I was in Cairo four years ago. 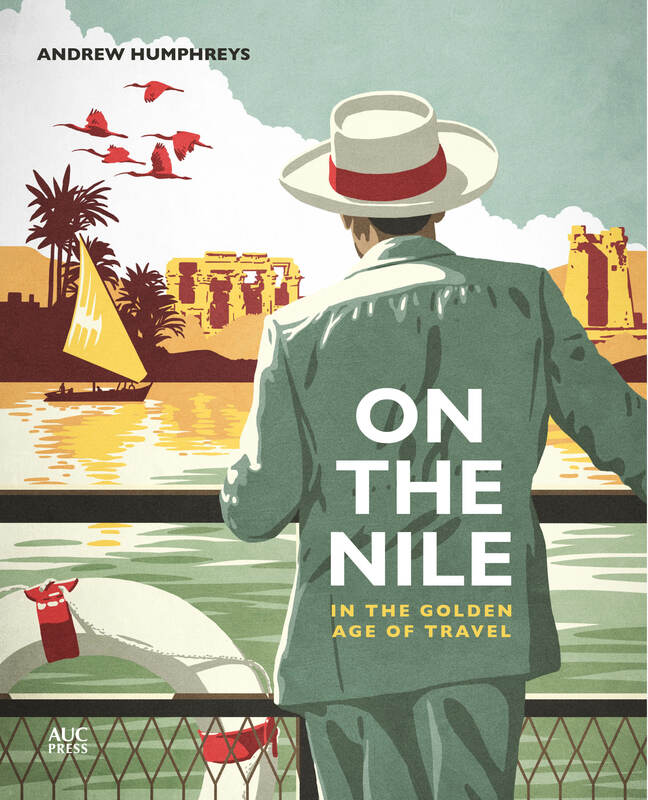 I called on the Director the following day and made my wants Known to him and have secured two Mummy’s [sic] which I am having packed for shipment. I have written to Mr. Ten Eyck the details of the transaction and I hope that they will be in Albany before I reach home. We are having a delightful time Bright warm weather. 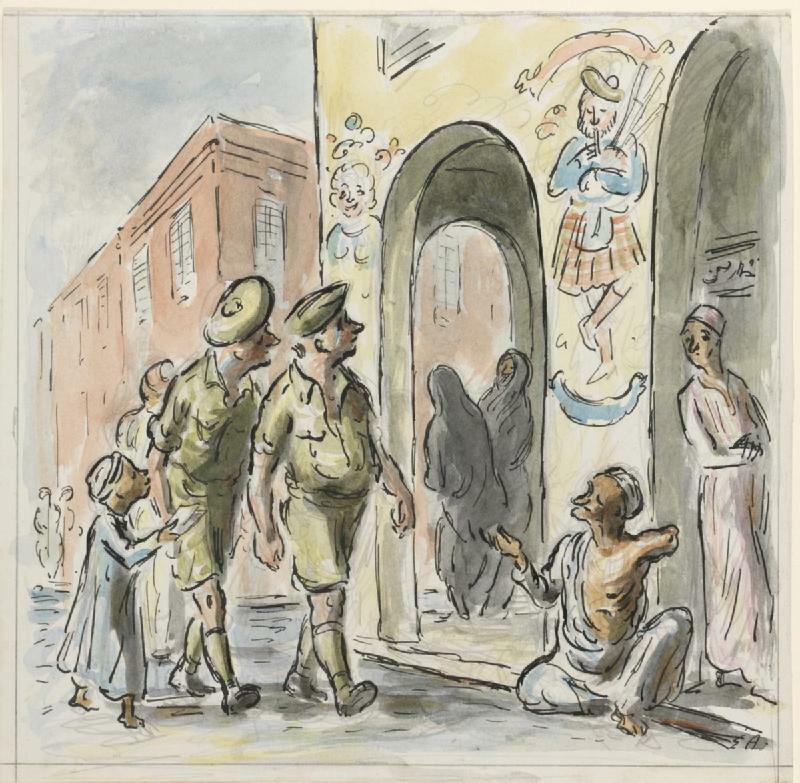 Whatever his frustrations, Brown was successful and the pair of mummies he brought back form the centerpiece of the Institute’s Ancient Egypt collection until today. 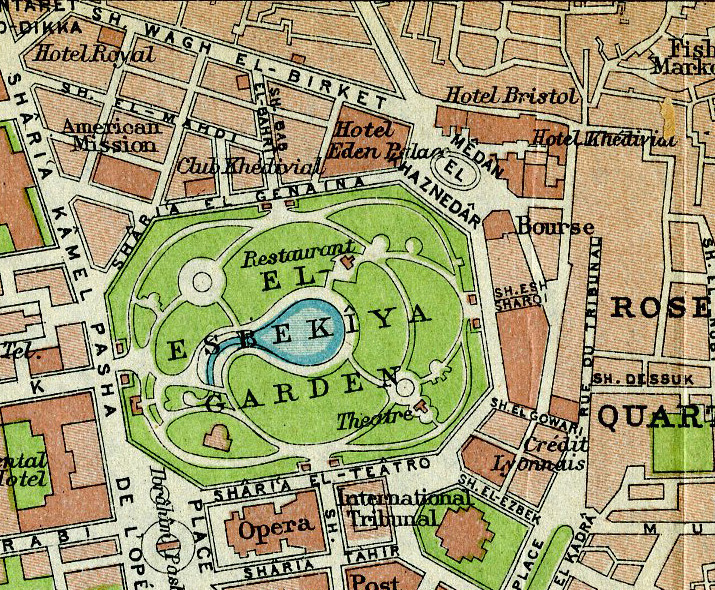 The hotel seemingly never quite recovered, and trade post-World War I was sufficiently bad that when, in 1920, British Army HQ decided to vacate the Savoy for budgetary reasons, the owners of the Eden Palace made them an attractive offer. The army didn’t stay long in residence but after the uniforms left the place never returned to use as a hotel. 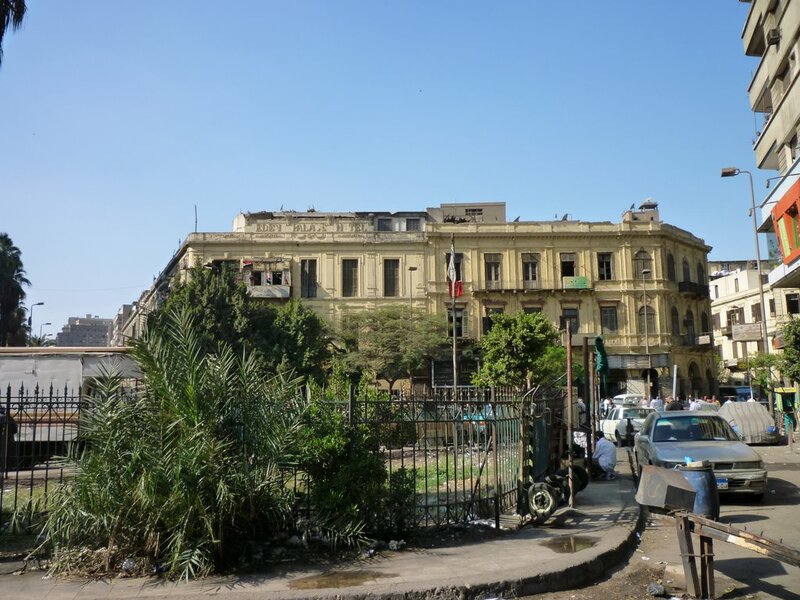 The building today is in a wretched state, but with its arcaded pavements and low-rise, Italianate architecture, if your imagination can dust things off a little, then this dilapidated corner still gives a good impression of what the city once looked like when the Ezbekiyya was a pleasure garden and birds still sang in Cairo squares.